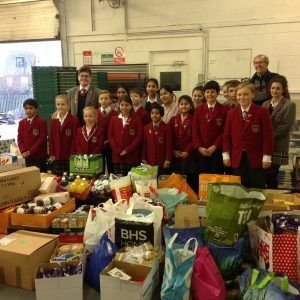 Pupils at Highclare School have been collecting items for the Erdington Foodbank. 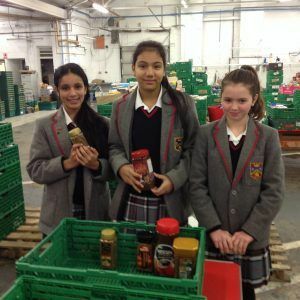 The senior pupils collected essential items for the food parcels that are given to those in need. 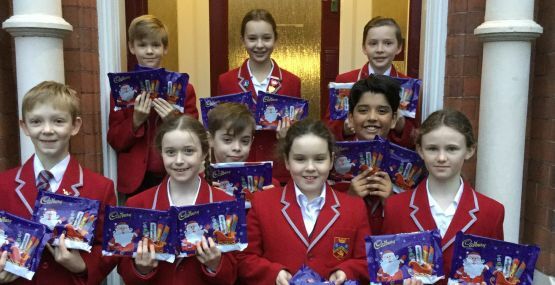 As part of their Magic of Christmas themed day, children in the junior schools were encouraged to wear their Christmas jumpers and donate 2 small chocolate selection boxes. Approximately 850 selection boxes were donated in total. 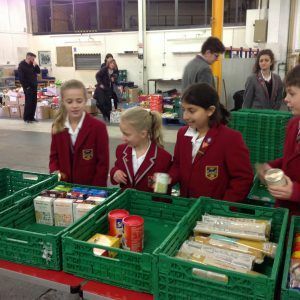 The photographs show some of the pupils with their donations and helping sort food in the warehouse. Volunteers were very pleased to receive the food and chocolate donations as gifts for families in the Erdington area. We have received a thank you letter from the Aston & Nechells Food Bank following the generous donations of Christmas selection boxes which we sent to the Erdington warehouse. 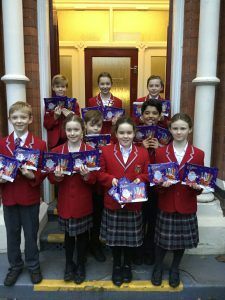 They received a total of 16.4kg of chocolate which in due course will be given out to families and individuals in need. 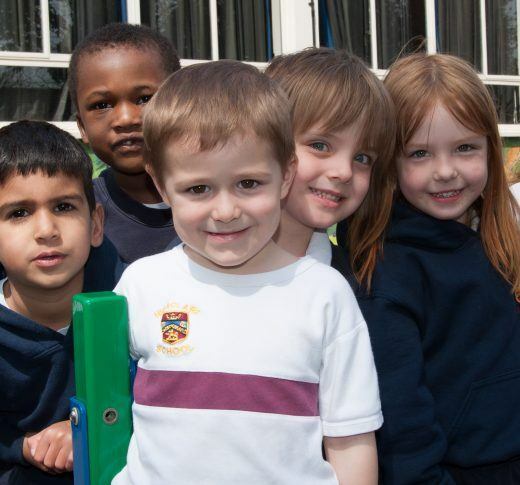 Since April 2016 they have helped 2,345 people including 956 children under age 16.